These articles provide insights for finding an idea. Finding the right business idea is often challenging for the aspiring entrepreneur. Choosing the idea that will be successful for you is the intersection of passion, ability, and identifying a problem to solve. The posts listed below provide guidance to find an idea and turn into a business. 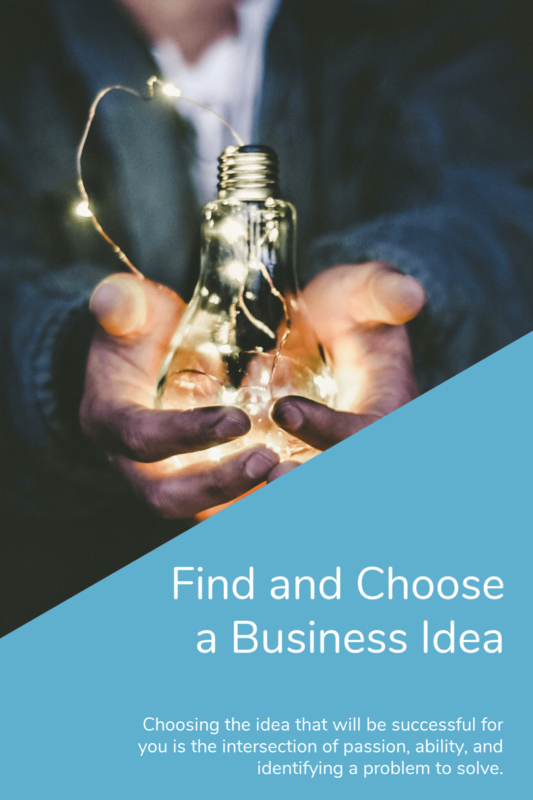 Need an Idea for a Business? Try One of These! Has Another Year Passed Without You Starting Your Business? If you just work on stuff that you like and your're passionate about, you don't have to have a master plan with how things will play out.